Truth by Kbaig: Power Politics and Requirements of National Security! Power Politics and Requirements of National Security! A strange situation is prevalent in the country, people are leaving no stone unturned in making both ends meet. They are looking for other ways beside labor to fulfill the needs of their families. From where can they get so much money to buy food for their families or meet the educational needs, after paying to the govt. in the form of utility bills. In spite of all their struggle they are shocked by the overcharging in utility bills in the form of Fuel Price Adjustment. One may tolerate this patiently but when this is unveiled that in the name of supplying electricity to public, their own selected representatives have filled their coffers through corruption in rental power projects. In such situation one cannot find any place to hide himself from this tsunami of inflation generated by corrupt govt. From whom should public demand justice, because those claiming to be public representatives have started looting them. These political dacoits are not ready to give any relief to the public. In the lay mans language if any govt. treats its subjects in such a way this will be known as state robbery. Because if we look at the life style of these public representatives or elite class one cannot believe that they are also citizens of Pakistan. They have heaps of wealth, luxurious vehicles and their activities are by no ways like public of Pakistan or Pakistanis. However our public identifies many faces participating in power game. But our innocent public is not able to answer that how these so-called representatives of public joining politics to serve the nation climbed up to the luxurious life style starting from bicycle to car and then to the luxurious bullet proofs and they also became part of elite class, whose residencies are situated in separate colonies of palaces. Where there are separate hospitals to look after their health and special schools for teaching their children (in these schools these children are equipped with education but not taught moral values because no law is applicable to them, then why did they need to be taught moral or social values). Pakistanis are going on from this process since last 64 years, they are looking this battle for power since years, they are aware that this so called game is played in the name of service for the public but public has no importance in the eyes of the players of this game. But now this battle for power has arrived at such a point where the integrity of motherland is at risk at the hands of these public representatives. This is not something usual that Prime Minister talks about the alleged conspiracy against his govt. 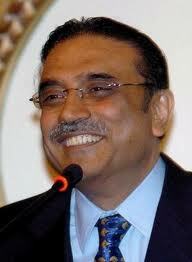 in the parliament but is not ready to disclose the name of the participants of this conspiracy. Along with this without mentioning the name addresses army that state within the state will not be tolerated, this is the propaganda of Jewish media on the wish of India. On the other hand there is no shortage of such elements who hate Pakistan army for their love with India, but in such a situation when army is fighting on two battle fronts and it is necessary for army to keep an eye over the third battle front, allegations by the govt. will have negative impact over the morale of the army. Scholars from various schools of thought are agreed over this that present leadership of Pakistan army is not interfering in govt. at any level. Not only this army is being criticized that in spite of limitless corruption and lawlessness of the govt. why army is silent? Why army does not interfere? Army has kept itself away from activities of govt. in spite of knowledge that increasing inflation as a result of corrupt govt. is effecting its soldiers, but if in such situation govt. itself expressed doubts about army then this is necessary to investigate the reasons behind this. However this should must be kept in mind that army of any state cannot keep silent over the security issues, because security of the country is the duty of soldiers. This is also an established convention that all big armies and their operations are controlled by Military head quarter not by Ministry of Defense. If we look at the initial stage of dispute between army and govt., it started when ISI was suddenly given under the control of Rehman Malik. Probably like our enemies few elements within Pakistani had been very happy over this notification who always blame ISI for political interference, what else these small minds can do, at least their ideals, the rulers and generals of big country like India are afraid of this agency. Moreover MOSSAD, CIA and RAW take ISI as a big hurdle in their imperialistic plans. However as soon as govt. got aware of its mistake, the notification was withdrawn. The second dispute became visible when in the name of aid to Pakistan, a struggle was done to chain nation through Kerry Logger Bill. Even our rulers closed their eyes over this conspiracy of pledging Pakistan army and ISI by White House and Pentagon for US dollars. However when army rejected this slavery bill, nation also supported armed forces. However after deaths of two Pakistanis in the hands of US terrorists Raymond Davis this was revealed that there are severe disputes between Pakistan army and govt. as govt. pressurized Pakistani embassy to issue visas to agents of CIA and contractors (US terrorists) without security clearance. This is also a reality that if Raymond had not murdered two Pakistanis perhaps now whole country might have been filled with US terrorists. If we look at the news reports before arrest of Raymond, their were daily reports that few foreigners were found riding the vehicles with tinted glasses and when police stopped them they resisted. These vehicles had been often loaded with dynamite and rocket launchers. Afterwards analysts were also forced to right about the link between these tinted foreign vehicles and acts of terrorism in the country. As soon as assassins or hired US terrorists like Raymond Davis were expelled from the country a sharp decline in the number of suicide bomb blasts has been observed. However in spite of all these disputes army just concentrated on its duty of security of country and govt. kept on its corruption. On the night of 2 May 2010, American commandoes attacked a building in Abbotabad and as soon as the sun rose Obama administration announced that Osama has been killed in a secret compound in Abbotabad. Was Osama really present there? If he was there then why he had been given shelter there? Most important question is that Osama who had lost all its powers after 2001, was he capable of bringing any revolution? This might be American need that a self made fictional character remains hidden for so many years (as America gives birth to such characters before conducting any activity of state terrorism in order to make US public afraid of this self-made monster so this its Jewish investors of weapon industry can earn profits in the form of genocide of humanity), what benefit Pakistan army or ISI could have derived by providing shelter to American Osama? Moreover look at Saddam Hussein in Iraq or Gaddafi in Libya, both had no link with Osama, both were not involved in any way to the 9/11. but in spite of all this Americans attacked both of these countries in such a way as beasts not the humans are living there. As they might have not been destroyed they might have destroyed the whole world. First Iraq was blamed for biological weapons but afterwards these state terrorists confessed that all these reports were based upon lies. This has been disclosed that the purpose of attack over Iraq by US and Britain was to capture away Iraqi oil, rob away gold hidden by Saddam in his palaces, to loot gold reserves of the central bank of Iraq. Libya was attacked for gold and oil by these allied bandits as well. In both countries millions lost their lives, damages are in trillions, and now these countries will rebuilt by the US companies as per their capacity. Here the purpose behind all this detail is that before murdering both fictional characters all the facilities were provided so that world especially US people can see them dying. Then why Osama who according US is main culprit of 9/11 was kept secret from the world. According to the US novel of Osama operation when Osama came face to face with US terrorists he was alone, there was no fierce fighting in between them. No fires were exchanged, so why these US heroes did not dare to shoot him injure him and capture him? Why did they targeted him over his head? Why his dead body was buried in the sea like robbers? This is the question even raised by American public that why Osama had not been shown to the public, why his dead body was hidden? When we look the story in another prospective a question arises, that Pakistan where USA (United Satanic Alliance) has thousands of agents who feel happiness in digging up the roots of their own country, who are proud of insulting their motherland. Then is not possible that USA might have hidden Osama or one resembling to him through US agents in Abbotabad? 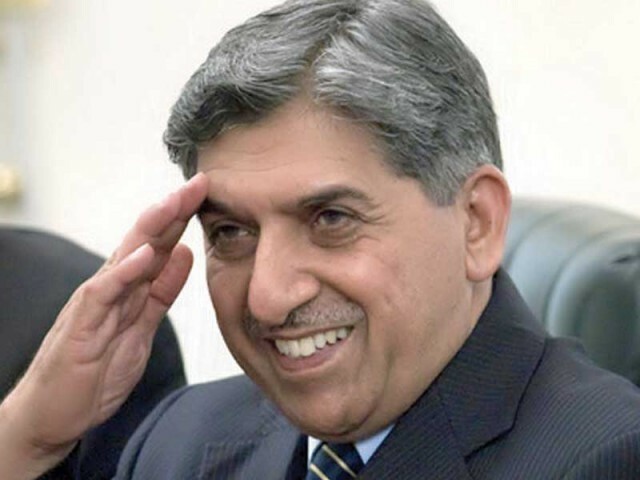 The most lost was born by Pakistan army and ISI by raising questions against its credibility. Then look at another aspect that enemy no. 1 of USA is killed within Pakistan, the stories of his being hidden here show that he was living here since Musharaf regime. If America wants to bring forward the truth and disclose the secrets to Americans why do not they arrest and investigate Musharaf who lives in USA? 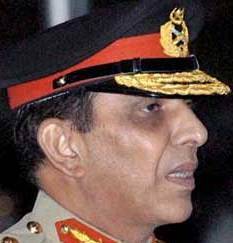 If Musharaf innocent than was this done by some soldier ranking to Subedar, Havaldar or Major? Was any General behind this individually or Pakistan army had given shelter to Osama? In all these cases what benefit Pakistan army or Pakistan could have derived from Osama? Now the Prime Minister of Pakistan asks in the parliament on which visa Osama visited Pakistan? This is obvious that Prime Minister is not contented with the objections raised in the Supreme Court about visas issued to US terrorists by Hussein Haqqani in Washington. In spite of all the problems public is worried about the difference between govt. 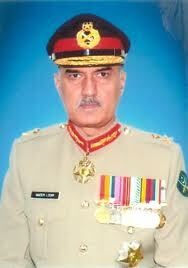 and claims of Pakistan army over the memo scandal disclosed by Mansoor Ijaz. Because govt. is beating the triumphant that memo is based upon lies and has no value. But army and ISI are of the view that memo is a bitter reality and investigations should be completed in this regard. Here this should be also kept in mind that memo was prepared in those days while was Pakistan army was under severe pressure due to Abbotabad operation. 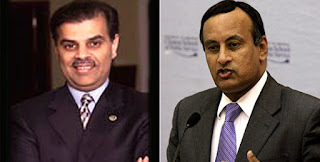 This is true that Hussein Haqqani is repeating that Mansoor Ijaz is not involved in memo scandal, and he is saying that Mansoor Ijaz has been involved in issuing statements against ISI and Pakistan army. However while accusing Mansoor Ijaz for anti-Pakistan army and ISI statements, Haqqani forgets that he himself had been a great critic of Pakistan army. The proof is his book written against Pakistan army for money paid to him by US agencies. Otherwise whatever he has said in his defense they have no relationship with allegations over him as an ambassador. Especially secret departure of Pakistani ambassador in Washington to London and his return after brief meeting with British Secretary Defense and moreover with Chief of State Sir David Richards. Haqqani has not disclosed the purpose behind his secret meetings. Because after this meeting memo was handed over to National Security Advisor of USA James Jones by Mansoor Ijaz with the instructions that this should be handed over to Mike Mullen at once. 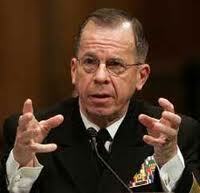 Secretary Defense General (Retd.) Naeem; PM Gilani says that his statement about state within state was about him, while Mr. Lodhi took charge just a few days ago. If we look at the head lines of Pakistani media or international online media, after the memo scandal Mike Mullen (who has been now retired and before his retirement the exchange of harsh talks between ISI Chief Shuja Pasha and him was also disclosed by media, now this is being said that this exchange of harsh sentences was about details of Memo scandal) said that he is not aware of any memo. However Mansoor Ijaz kept on disclosing further details about memo. After this Mike Mullen accepted that he had received memo, but tried to decrease the tension by saying that he kept memo aside without reading it as it did not deserve any attention. Meanwhile James Jones also tried to get rid of this scandal, however in Pakistan this scandal was taken to Supreme Court. So James Jones also changed his position and got harsh against Pakistan. In this view when American journalists inquired him about memo, he said that he had just handed it over to Mike Mullen but this is not such a big problem. He said that actual problem is doubtful role of Pakistan in war against terrorism, Pakistan is moving on the way of self destruction, otherwise if Pakistan wishes it may utilize provided by US and its allies to enlighten its society and future of public.